Sonos is the wireless Home Sound System that fills as many rooms as you want with beautiful, immersive sound. Stream via WiFi. Play any song, podcast, audiobook or radio station, and enhance your TV and movie experience. 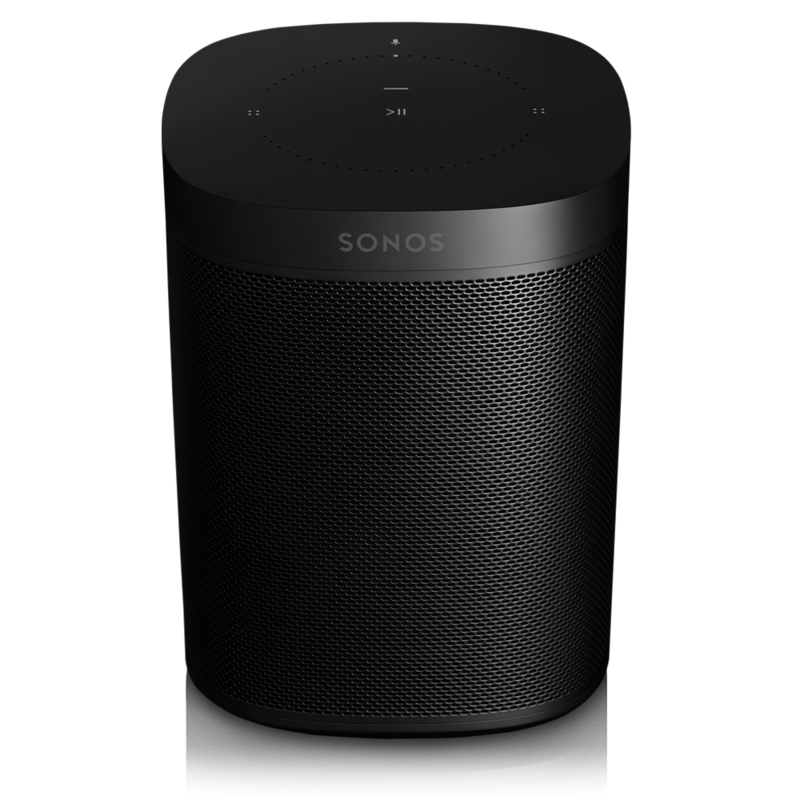 Sonos has become a leading player in the world of wireless multi-room speaker systems. With Sonos, you can get the best listening experience. Spotify is a popular music streaming service that allows listeners to have full control of the music all over their home outside the Sonos app. Spotify and Sonos will allow access to all of your existing Spotify playlists and their entire catalogue in every corner of your home. 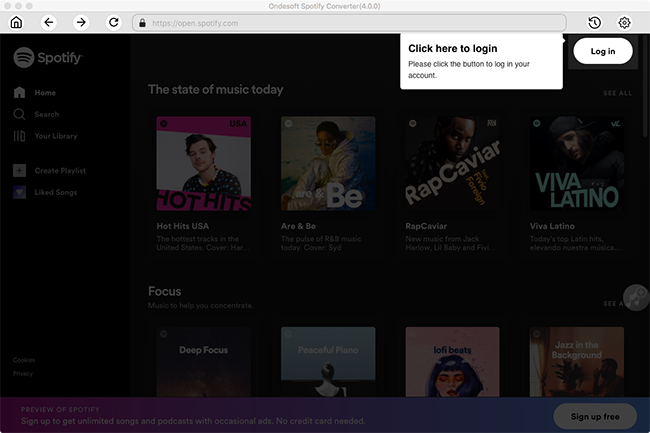 But a Spotify Premium subscription is required to access your Spotify account within Sonos. If you are a Spotify free user, you can not play music from Spotify on Sonos. This article explains how to play Spotify music on Sonos as a Premium user or a free user. How to play Spotify on Sonos with Spotify premium? 1. Fire up the Sonos app on your phone. 2. Set up your Sonos speakers on your Wi-Fi, following the steps in the app. 4. Fire up the Spotify app on your phone, tablet or laptop. 5. Play a song and select Devices Available. 6. Select a Sonos speaker and start listening. You can listen on Sonos and control the music with your voice(Alexa), the Spotify app or the Sonos app. How do I add Spotify to my Sonos with a Spotify Premium subscription? 1 From the More tab, tap Add Music Services. From the Music pane click Add Music Services. 2 Select Spotify from the list. Select Spotify, and then click Next. 3 Select I already have an account. Select I already have an account, and click Next. 4 Tap on the displayed link and login to Spotify with your Facebook or Spotify account to allow Sonos. Click on the displayed link and login to Spotify with your Facebook or Spotify account to allow Sonos. How to play Spotify music on Sonos without Premium Account? With Spotify Premium, you can enjoy on-demand access to Spotify, enjoy the Spotify catalog of over 40 million tracks, search tracks, albums, and artists., play your saved songs, artists, albums and playlists, listen to Spotify Radio and browse songs by mood, genre, and occasion. If you are a free user, you can also play Spotify music on Sonos. You just need a professional Spotify to MP3 converter to break the limitation. 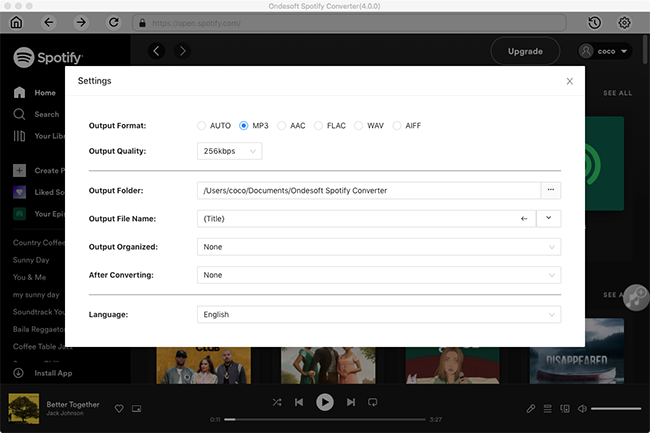 Ondesoft Spotify Converter allows you to strip DRM from Spotify music and convert Spotify to MP3, M4A, WAV and FLAC with lossless quality. It remains all original ID tags and convert Spotify music at a faster speed. 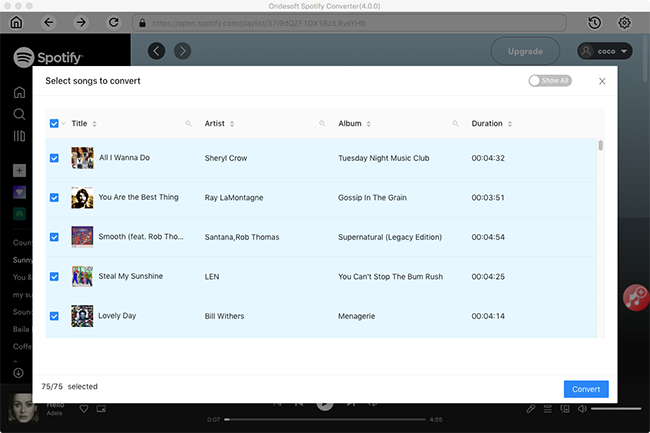 With Ondesoft Spotify Music Converter , you are able to stream Spotify music to Sonos without Premium account. The following is a detailed tutorial about how to play Spotify music on Sonos for free. Please make sure you have installed Spotify app on your computer. 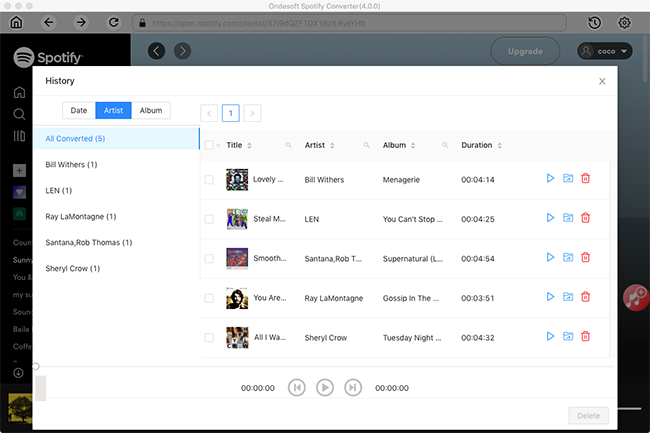 Go to Spotify to find any songs or playlists you want to convert, you can drag&drop them to the Spotify Converter directly. Or you can copy&paste the link of the song/playlist from Spotify web player. Then Click the Add button to import all songs. Click the Options button to customize the output format. You can choose output format (MP3, M4A, FLAC or WAV), output quality (High 512kbps, medium320kbps/256kbps, low 128kbps). In the output settings, you could change the output folder as you prefer. When you finish customization, click the Convert button to start the conversion. After the conversion, click the History button, then you will find all converted songs. 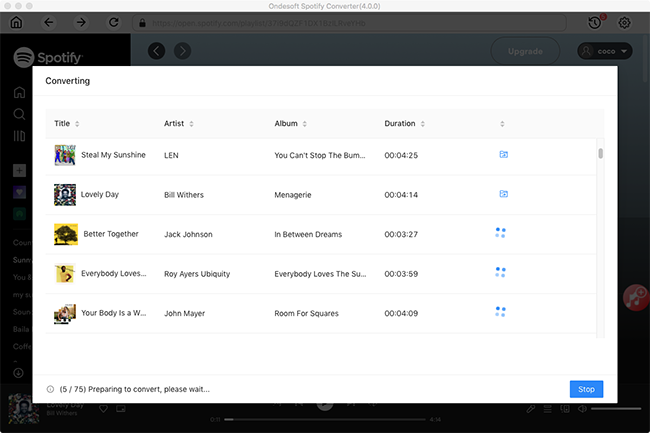 Download the Sonos desktop Controller App(https://www.sonos.com/en-us/controller-app ) and install it on the computer. From the “Manage” menu, select “Music Library Settings”. Click + (plus) on a Mac, or “Add” if you are using a PC. Type in your computer's password if prompted and follow the on-screen instructions to complete adding your music library.